Sapp Design Associates is pleased to announce that two of our recent 21st Century Educational Projects have received Outstanding Project Awards in Learning by Design’s much-anticipated Spring 2013 edition, showcasing the nation’s best educational design and construction projects, from Pre-k through 12th to College and University Facilities. 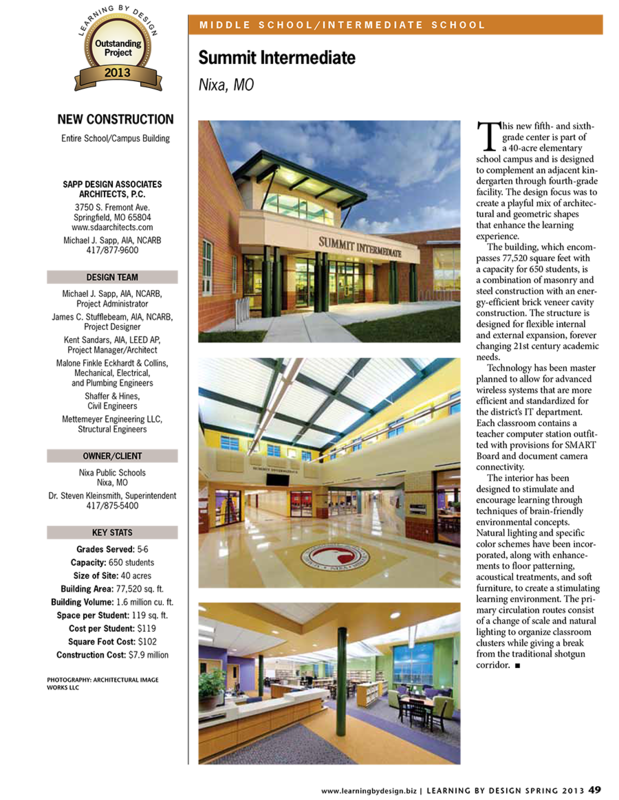 The projects from Sapp Design where Summit Intermediate, Nixa, Missouri and Irving Elementary, Joplin, Missouri. 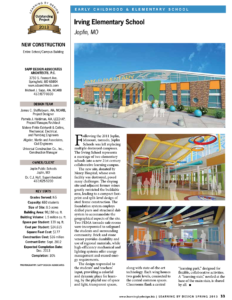 Both of these projects feature Outstanding 21st Century Design Solutions customized for each client.